Hello Sunny Bali! It’s always so nice to back on this one-of-a-kind island. Every time I go here, all I want to do is wear my bikini, shorts, and flip flops and just chill the whole day. 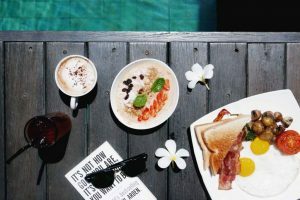 I know it’s hard to choose where you want to stay because there are so many things to do in Bali, but my favourite area is Seminyak. 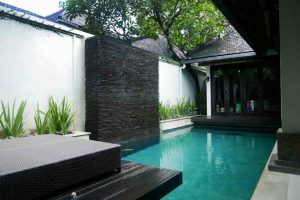 I really haven’t been to a lot of places in Bali so my mind might change in the future though lolol, but one awesome place to stay in Seminyak is at The Amala. 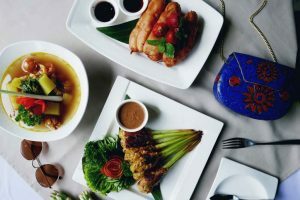 It’s a really good location because all the shops and clubs are quite near (5-8 minutes taxi ride and can be walkable if you’re up for some adventure). 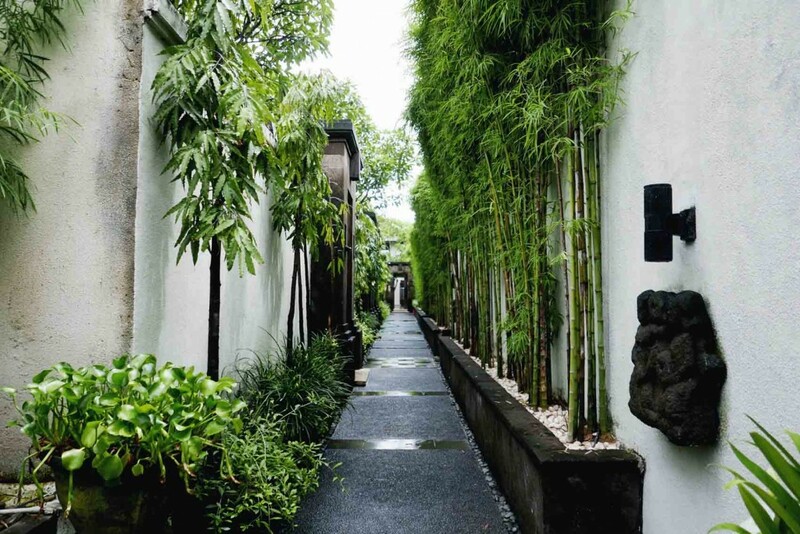 Since Seminyak is quite known for being the happening place in Bali, staying at The Amala is a good balance for that wellness retreat/ r&r you’re looking for. 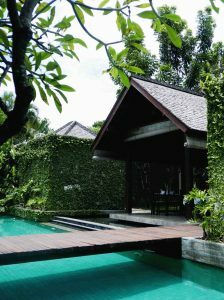 They have three kinds of rooms: deluxe room, spa villa and the pool villa. We got the pool villa and of course, we have our own private pool, a living room, a kitchenette, a pool deck area with lounge chairs… That’s just the outside! 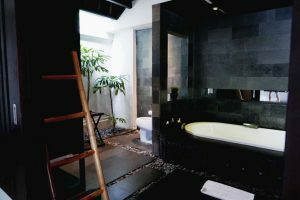 Our room is so cozy and our bathroom is insanely big with a bathtub in the middle. Pak! 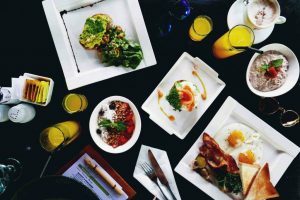 Their brekky is insanely good and you can order anything you want from the breakfast menu. The hallway going to the public pool looks like this. Isn’t it so beautiful? I feel like whoever designed this place wanted every corner to be magically picture-worthy. Well, he/she did an awesome job! Lol. 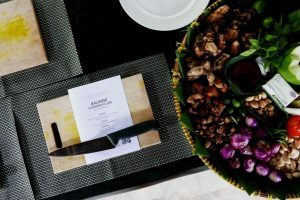 I also tried their Balinese-cooking class and since my boyfriend loves to cook, we both enjoyed so much! Too bad we don’t have some of their ingredients here in the Philippines, but he did give some good replacement seasonings so I guess that will do. Also got a certificate after the class! I told myself to explore Seminyak since it’s my boyfriend’s first time there but we probably spent most of our time inside our villa because it was too nice to not chill there. They also have a free shuttle van that drops you off in certain areas so you save money too. Awesome, right? I had such an incredible experience here and I can’t wait to be back! More about my Bali trip soon. BMS. 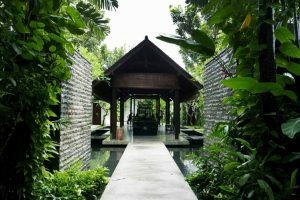 For more information about The Amala and their properties, visit Lifestyle Retreat’s website and follow them on Instagram.